We are directly across from Chuck-A-Rama between Thompson Electric and the Baugh Motel. Our office focuses on people like you and your needs to help you plan for your futures and protect your families with quality State Farm insurance and financial services. By putting your needs first and building a relationship, you will have confidence in us and our business will grow from quality customer referrals. If you have a need for Auto Insurance, Fire Insurance or Life Insurance in the Logan, Utah area or surrounding communities please call us. My office provides a warm, efficient, and seamless service to our customers at all times. We strive to be our customers first and preferred choice for all their Utah and Idaho insurance and financial services. 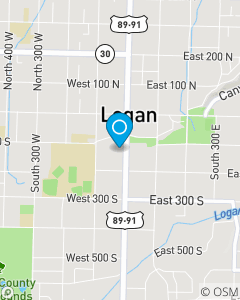 We focus on car insurance, home insurance, life insurance, health insurance and financial services throughout Utah & Idaho, including; Logan, Providence, Hyrum, Hyde Park, North Logan, Smithfield, Preston and surrounding areas.